The dangers of impaired driving are well known. National campaigns routinely and aggressively encourage drivers to stay off the road if they’ve been drinking and to avoid texting behind the wheel. Recently, government officials and researchers have begun to emphasize the dangers of another form of impaired driving—drugged driving. Whether the driver has taken over-the-counter medication, prescription drugs, or street drugs, his ability to operate a vehicle safely can be affected. In 2014, the National Highway Traffic Safety Administration (NHTSA) conducted a roadside survey to determine just how prevalent drug use was among drivers. That study found that approximately 20 percent of drivers had some type of drug detectable in their systems at all hours of the day. While researchers noted that the presence of a drug did not necessarily mean the driver was impaired, it is important to note just how many of those behind the wheel did offer a positive test. The use of drugs clearly is a danger on the road. Safety advocacy group Mothers Against Drunk Driving (MADD) reports that every year, about 4,000 drivers are killed with drugs in their systems. This number does not include passengers or other drivers involved in accidents with a drugged driver. What Drugs Are Impairing Drivers Behind the Wheel? So, what drugs are these drivers using that prevents the safe operation of a vehicle? The answer encompasses a wide range of drugs, both legal and illegal. According to national surveys, the drugs most commonly associated with accidents were marijuana and prescription drugs, including Xanax, Vicodin, OxyContin, and Valium. Use of these drugs accounted for about 84 percent of drivers with drugs in their system. Cocaine was detected in approximately 10 percent of those drivers. Even over-the-counter drugs can cause driver impairment. The Food and Drug Administration (FDA) cautions that over-the-counter drugs and herbal supplements can have side effects which could affect one’s ability to drive safely. Though regarded as safe, these drugs can still cause sleepiness, dizziness, slowed movement, blurred vision, and more. It is important to understand all the possible side effects and drug interactions and how they will affect a person before getting behind the wheel. Drivers are not typically tested for drugs if they have failed an alcohol test because there is already enough evidence of their impairment for an arrest. Many drivers on drugs have also been drinking. It is nearly impossible to determine which substance caused the most impairment. Quick, reliable roadside tests do not yet exist for drugs. Even when drugs are detected in the system, there is no way to evaluate at what level the drug causes impairment. These levels can vary based on the type of drug and the person taking it. Currently, the laws vary from state to state concerning drugged driving. Often, these laws are complex and difficult to interpret. The state of Georgia has a zero-tolerance policy on marijuana. 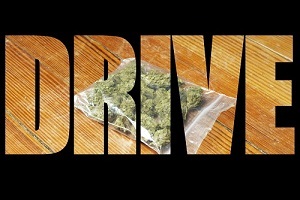 It is illegal to possess and use the drug, and any amount of marijuana in one’s system would constitute drugged driving. When it comes to other drugs, however, state law is not as clear. Georgia uses the zero-tolerance approach to some—but not all—drugs. Issues are addressed on a case-by-case basis. If you or someone you love has suffered injuries in a car accident with a drugged driver, you may be eligible to file a claim. Contact the experienced lawyers at Rechtman & Spevak today at 888-522-7798 to learn more about your rights under Georgia law and the kinds of compensation you may be able to obtain. What Kinds of Compensation Are Available After a Car Accident?